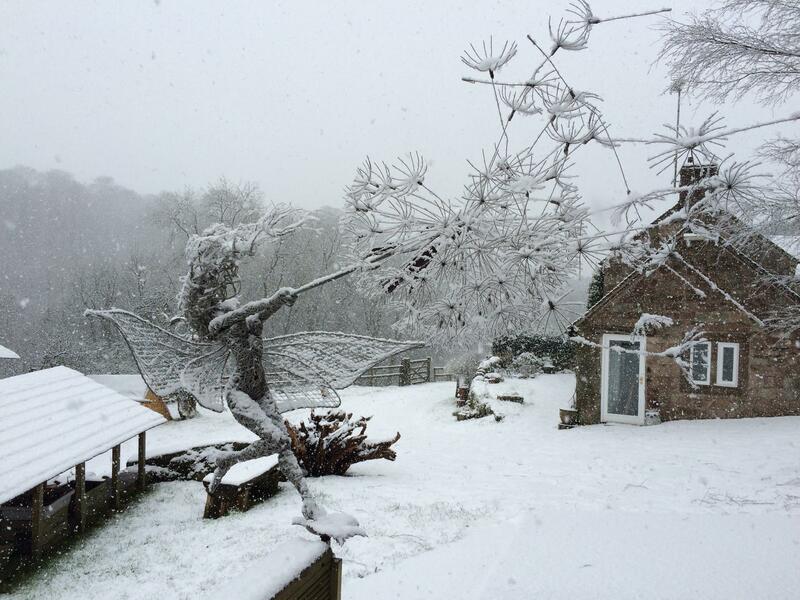 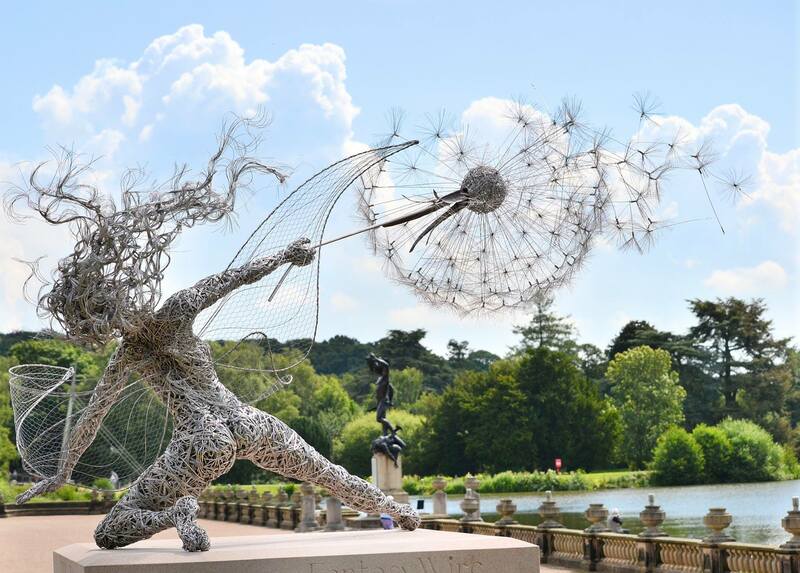 Robin Wight, a UK-based sculptor that works primarily with stainless steel wire, has mastered the creation of enchanting and dynamic fairy sculptures that seem to dance in or struggle against the wind. 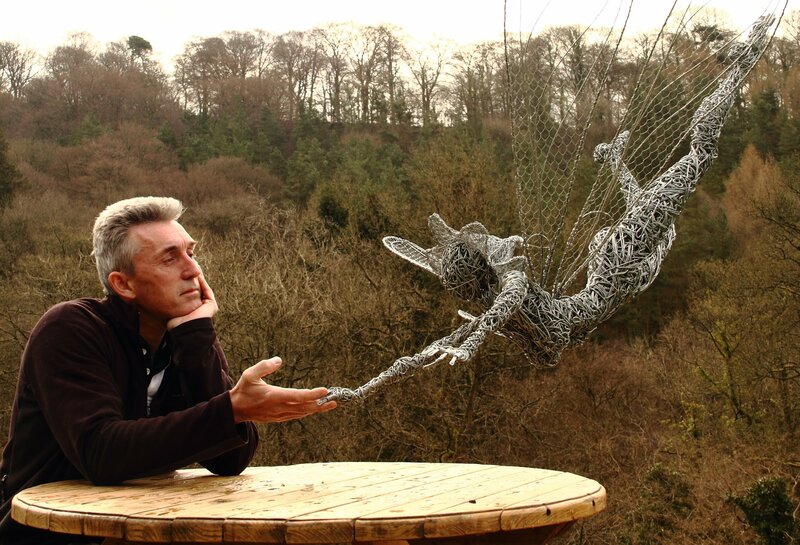 Wight is very open about the process behind his beautiful fairy creations, describing it in great detail. 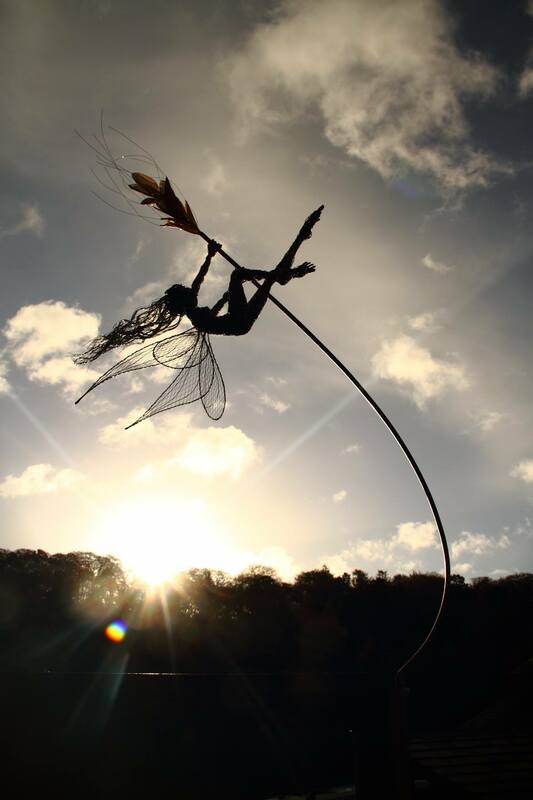 They involve the creation of a robust steel skeleton that is then wrapped in progressively smaller gauges of wire – the thickest forms the skeleton, the next thickest forms the muscles and body mass, and the finest wraps these muscles to form the skin. 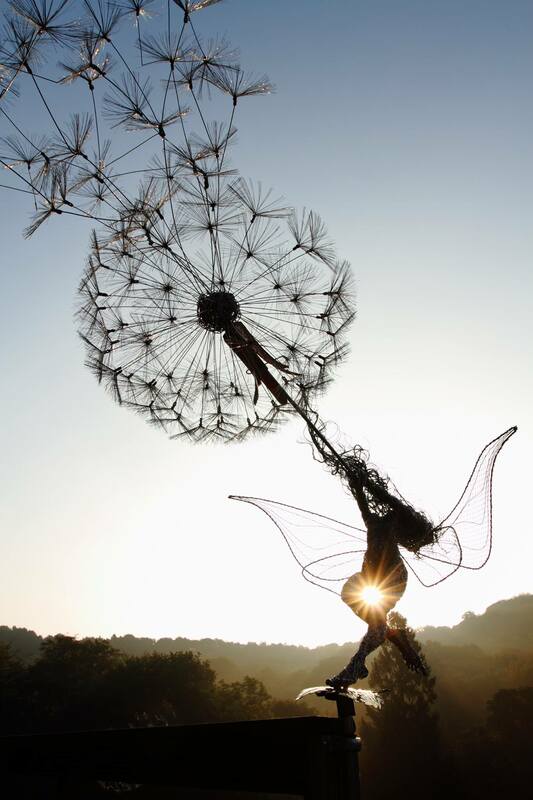 As his signature, Wight also buries a stone “heart” at each fairy’s core, sometimes engraving these hearts with messages. 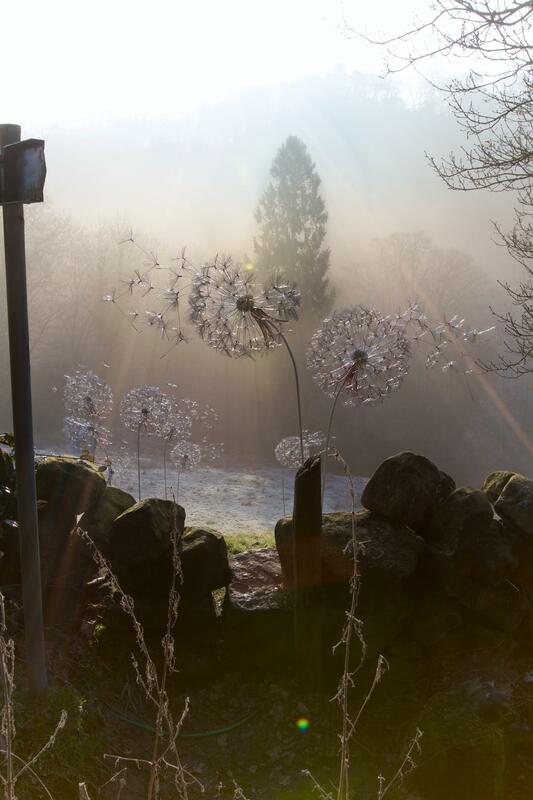 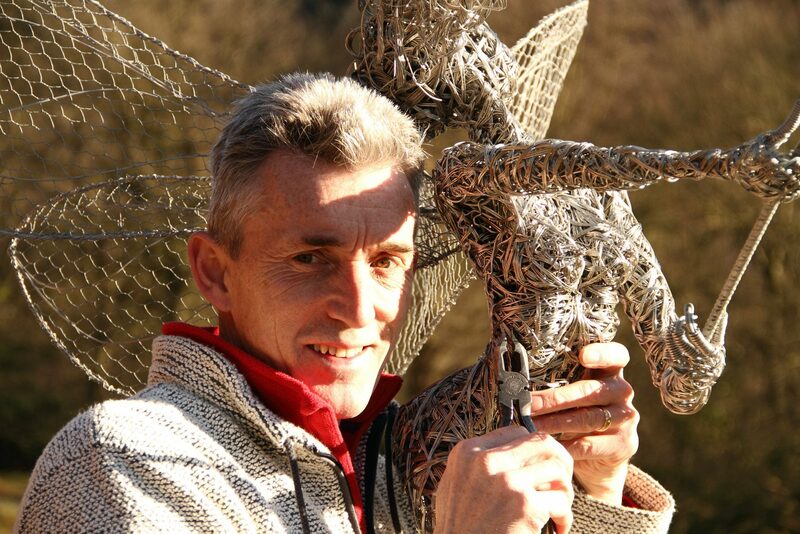 A number of them are on display at the Trentham Gardens, but he also creates fairies for private clients.